The letter, sent by not-for-profit initiative The B Team, warns Cañete that “we cannot do business” in a world that exists under the current climate trajectory, which is predicted to hit at least 3 degrees Celsius of warming by century’s end, rather than the 1.5 or 2 degrees goals set by the Paris Agreement. In September, the UN’s Intergovernmental Panel on Climate Change (IPCC) released a landmark report into what warming beyond 1.5 degrees would mean for the world, concluding that it would have devastating impacts. Entrepreneurs like Sir Richard Branson, Unilver boss Paul Polman, International Trade Union Confederation chief Sharan Burrow and Danone CEO Emmanuel Faber put pen to paper on the B Team letter, which insists that net-zero emissions must feature among the options in the EU’s 2050 strategy. They also insist that the EU’s current 2030 emissions reduction target of 40% must be increased to 45%. 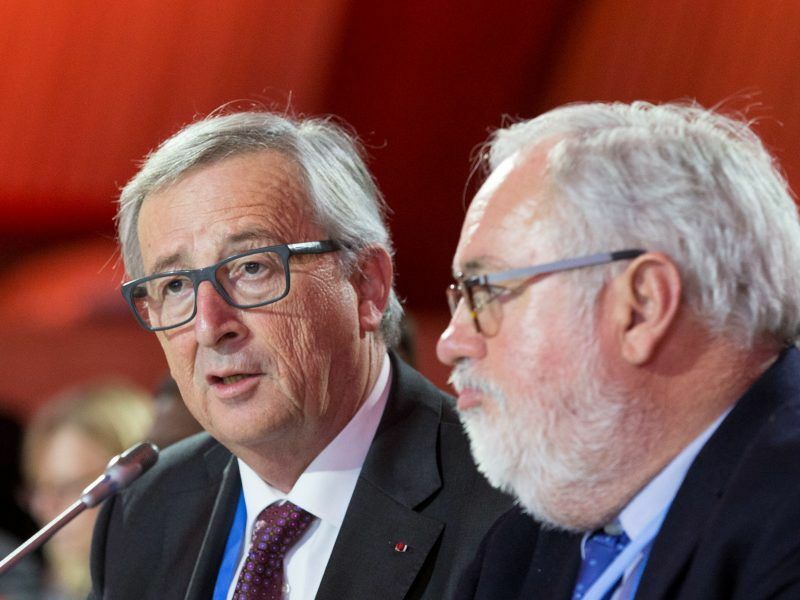 EURACTIV understands that the long-term strategy actually uses 45% as its baseline for 2030, given that Commission projections show that new EU energy rules mean the bloc is on track to “de facto” reduce emissions by 45%. In the letter, dated 20 November, 21 high profile names, including the UN’s former climate change boss, Christiana Figueres, insist that “the cost of inaction is greater than the cost of action”, adding that a net-zero target will “set the direction of travel for all European businesses”. “Business as usual is not an option. We cannot afford the price of inaction,” added Brook Riley from Rockwool International, the insulation company. The letter was warmly welcomed by The Prince of Wales’s Corporate Leaders Group (CLG), who themselves called on environment ministers in October to ensure the EU hits net-zero emissions by 2050 with their own letter. “The CLG has repeatedly called for a decisive commitment to net zero emissions by 2050 to secure a future that promises more jobs, better homes, clean air, restored forests and trillions saved on energy imports,” CLG Director Eliot Whittington told EURACTIV. “Anything less than zero emissions by 2050 is inadequate, and those trying to slow the pace of change will ultimately get left behind,” he added. 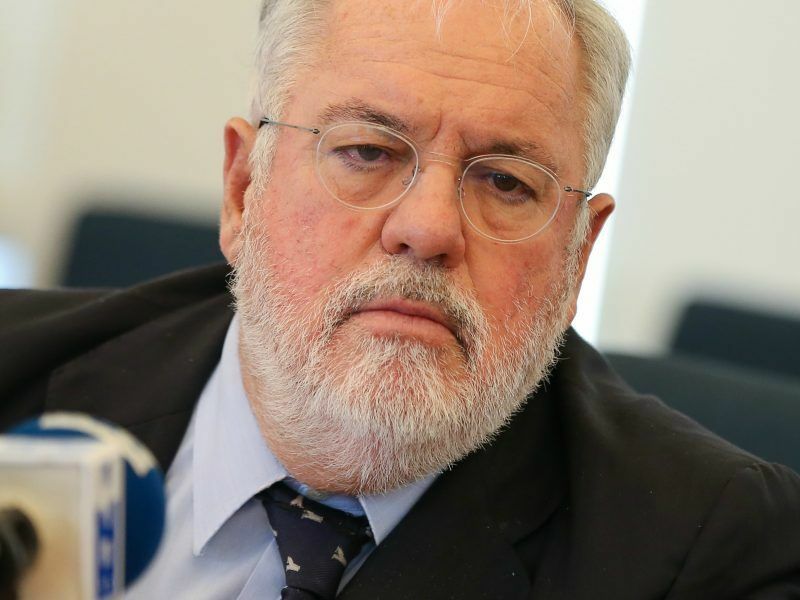 However, the Commission strategy will fall short of making a cast-iron cost of inaction case, as EURACTIV understands that it will not include the cost of climate damages in its scenarios. 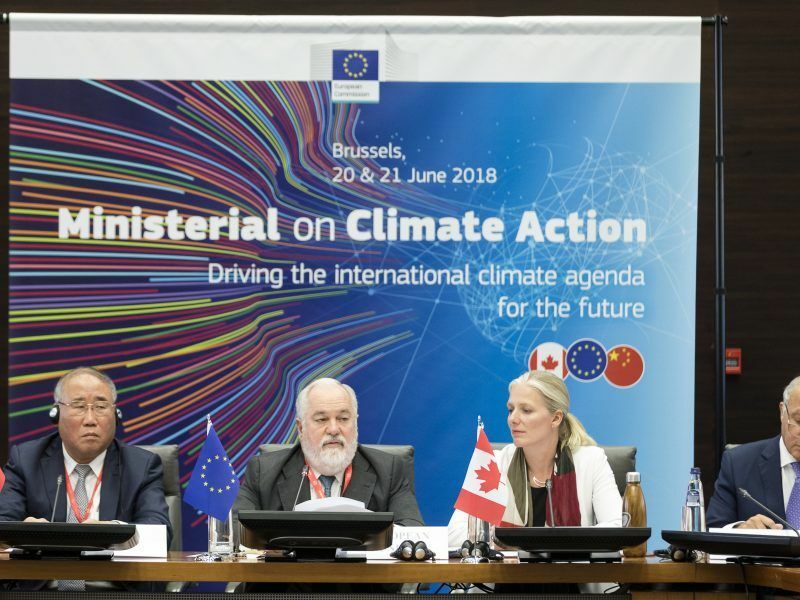 Climate damages are estimated at anything between a few billion euros to even trillions of euros over the next decades if no further decarbonisation is achieved but the Commission’s climate modellers claim that they are too unpredictable to factor in. Much of that hesitation stems from the insistence that climate change does not respect national borders so including costs for phenomena that the EU would have no direct control over would not be politically viable. Member states will have to agree on one of the eight scenarios to follow, although a final decision is not expected before the end of next year. 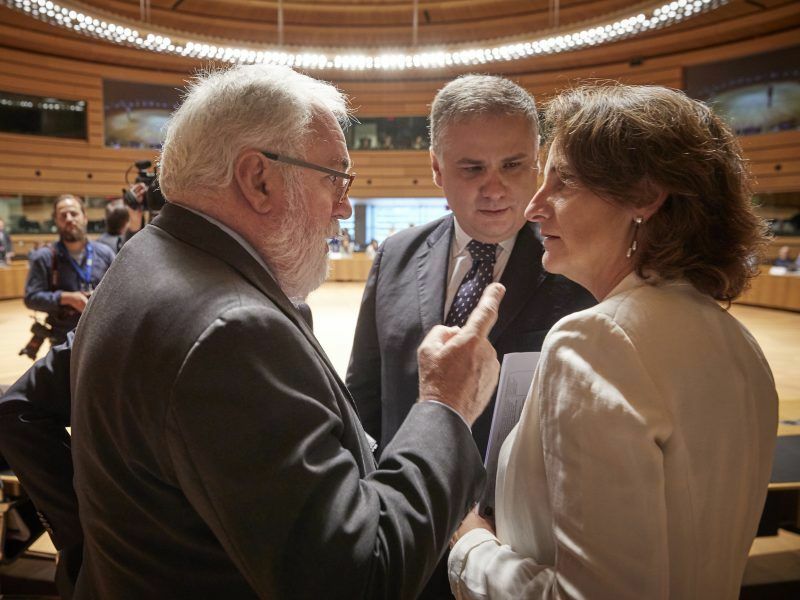 This December’s Council summit could be an opportunity for leaders to welcome the strategy in their conclusions, given that they were the ones that tasked the EU executive in March to draft the text. 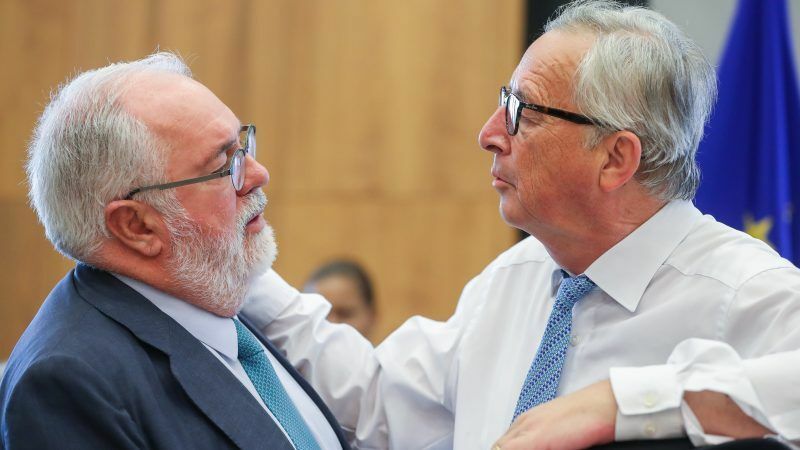 It is still not confirmed whether Commission President Jean-Claude Juncker will present the strategy during COP24 in Poland but it is likely to feature heavily during the European elections campaigning and the future of Europe summit in Sibiu, Romania, in May. Back in 2009 I blagged my way into some high level meeting organised by the EC – mostly ministers, Commissioners and the top bananas from industry. The most radical in the room were……….the top bananas – as one of them said to me “I’m not worried for myself – I’m worried about my kids and their kids”. Ten years on it seems that the politicos are finally starting to listen (that said – sound takes a long time to travel in very low density materials – of the sort that – apparently – .politicos heads are made of. That said – it was hard not to snigger at seeing the bearded smiling jumper’s name on the list of B Team people – he of the airline Virgin – remind me where aircraft emissions are going? Digging downwards it was good to see the “‘ow much does it cost” meme continuing to have life – tell me Mrs Figueres do you think you are buying a bunch of bananas? (“‘oy mate – ow much are these bananas/is it to reduce emissions?”). The correct way to view systems that will eliminate CO2 emissions is as an investment. Investments have a positive business case or not. Endless studies have shown that at least 50% of the energy renovation of the residential sector has a good enough business case to interest pension funds, ditto renewables. Unfortunately, as a recent Wood-MacKenzie study showed oil & gas investments have a much higher IRR than – renewables. Which may account for the fact that large (European) commercial banks and pension funds still make investments in the very sectors that will stuff the planet. Leading by example? I don’t think so. In fairness to the central banks – they make a great show of hand wringing wrt the risks the commercial banks face. Mr Riley was right ““Business as usual is not an option. We cannot afford the price of inaction,” – & I can put a price on inaction – well actually the German Environment Agency (UBA) has put a price on German CO2 emissions: Euro160bn per year. Yup, German CO2 emissions “cost” Germany that amount & you can be certain that you can pro rata this for other member states. (your figure of Euro13 bn seems a bit on the low side Mr Joebstl). However, looking at environmental costs (due to temperature rises etc) is a mistake given that there is a good business case for a move to vastly more renewables linked to a hydrogen-based economy and coupled to an energy renovation programme of the built environment worthy of the name. This of course needs money & I will make a bet that the COMM makes little if any meaningful mention of money – the give away is that there are “eight scenarios from which member states will be expected to pick” – & one supposes they will also need to fund. No money – no result. I will pay the bet in drinks (one per person) @ the pub of your choice in Bx. You know where to find me on the Internet – e-mail me. But I do not think I will be buying many – cos the EC will skate over this particular piece of thin ice – holding its breath & hoping for the best (whilst murmuring to itself – “so far so good”).